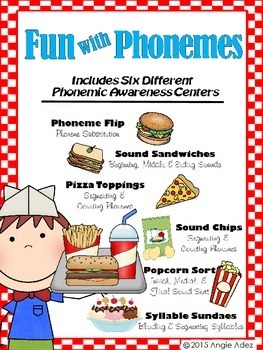 Order up some fun while practicing phonemic awareness skills! 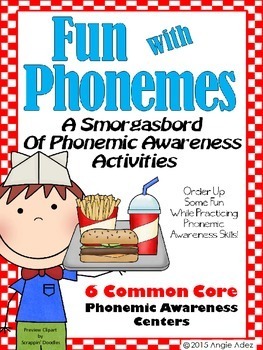 This bundle includes a smorgasbord of phonemic awareness activities. 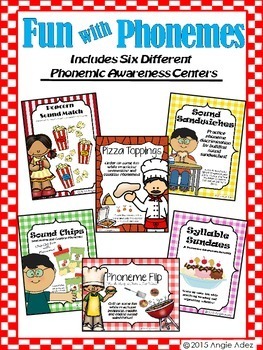 Six hands on phonemic awareness centers bundled into one unit! A whole "menu" of activities to choose from! Click on each product link above to see the individual product previews. Activities come with corresponding worksheet activities. 176 pages of FUN with manipulating words and sounds!